It was having great time in the Free Medical Camp at Manav Parivar in Matar. There was a very huge crowd of patients. Everybody was busy with their own corresponding works. I was observing all of them at a time. I went to kitchen department and look what they are doing and how they are cooking. 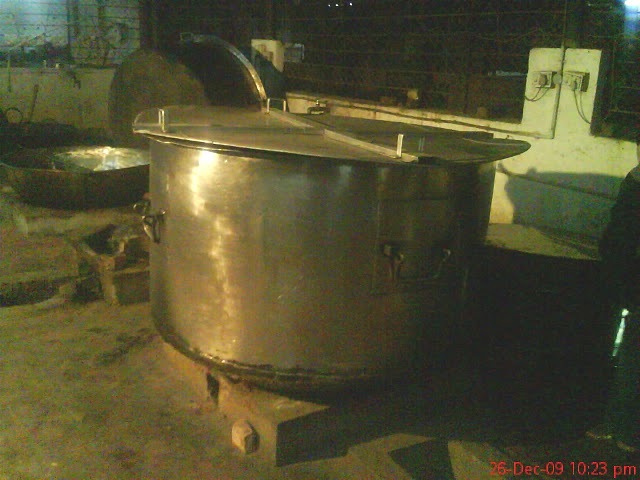 This is big container where food was cooked. They are just started to prepare everything before the start of the cooking. As you can see a container of foods which were ready to be cooked. Everything there was in order. They follow all the step by step preparation to result it in a perfect way. There were still a lot of preparation and cooking before it reached the end. 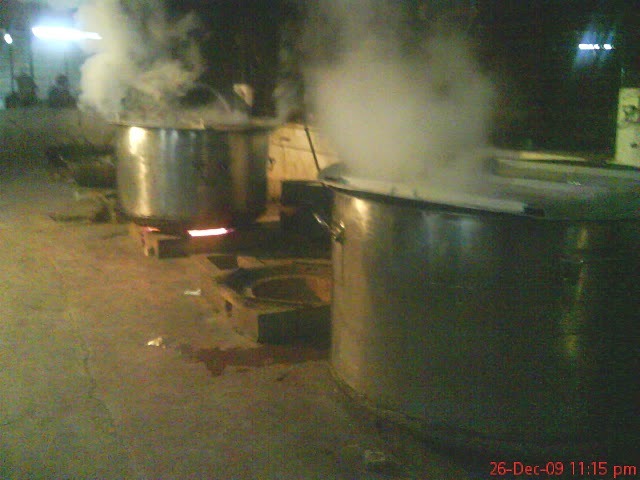 In here, you can see the smoke on the container as that they were already started the cooking of food. After this, they are going to put the food on the table in the food area. One by one of the patients came to the food area to take their lunch.